This is a tough topic, because people either don’t won’t to believe it or are not capable because they lack the knowledge to comprehend what is being said. When you understand that our country can only operate based on debt/credit, not physical dollars, you finally see that the USA is a huge Ponzi scheme built on nothing more that our ability to borrow money. Our status as the world reserve currency has allowed us to borrow money that we do not have. The government says that there are 10 trillion dollars sitting in the US Banking system that we can go and easily withdrawal. How can that be true when there only exists 1.4 trillion of real money in circulation (dollars and coins) and more than one half of that is outside the US. This doesn’t include the 10s of trillions more that we owe other countries that have purchased our debt. If our creditors were to all come and ask for their money at one time there would be less than $1 dollar for every $1000 dollars owed. All Great empires based on fiat currencies end in this way. People I talk to like my wife and friends have no clue what is coming. This is a long video and I have edited it to half of its original length. 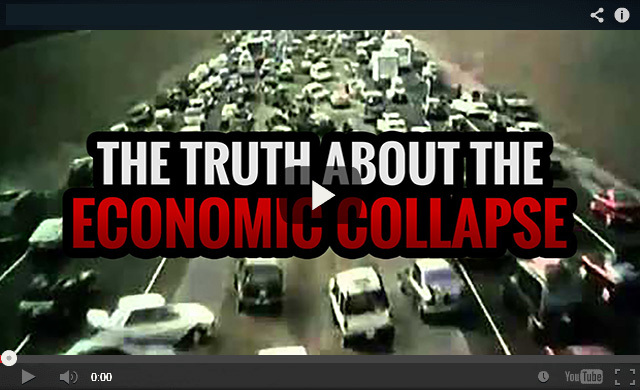 It is the single most logical and credible documentary I have ever watched on the future of the US economy. It makes be sick that the Fed decided to bailout the corrupt bankers instead of the US citizens. Instead of bailing out the banks, the Fed could have paid off every consumer debt in the country and freed up trillions of dollars for the consumer. Instead they padded the pockets of the banking elite. I wanted to puke. Now they are setting things up to try one last historic cash grab. Driving the stock market to all time highs so then can short the hell out of it. I think Trump will snuff if he is not assassinated first. I am 58 years old and a registered professional engineer in Maryland. I have owned 3 very different types of businesses over the past 30 years. I am now retired. I have watched hundreds of videos on the economy and done years of research into past financial failures going as back before the Roman Empire. Dr. Paul Roberts is one of my followers and referenced me in a video I produced on Sandy Hook. People do not want to acknowledge that the fall of fiat currencies is nothing new and that the US has made it this far ONLY because we are the default reserve currency of the world. There have been 440 economies based on fiat currencies in modern history…. They have all come to the same demise, FAILURE. Having an education in Engineering with a minor in mathematics I do not believe that the US is exempt from the natural laws of economics. Because this was intended to be the “Land of the Free” so if I want to hoard a bunch of cash . Sometimes you just need cash. There are certain situations where writing a check won’t work (or isn’t fast enough) and you can’t swipe your credit card (think friend-to-friend money exchanges, or some other such trival nonsense). For most of my readers, I think you want cash because you’re worried about some type of disruption in the normal operations of life, the banking system, and the economy (whether that’s short-term or long-term). In an economic crisis, cash really is king. Bank withdraws are usually limited to a certain amount per day. ATM’s (if you can find one that’s not empty) limit the amount you can withdraw per day. Stores stay open but they stop accepting credit cards. And Cash really is king. The people in Argentina, once their banks opened back up, saw their money devalued by the government to help pay the government’s debt. In Cyprus, they pioneered the “bail-in”, where they simply took the money out of accounts over a certain amount. Considering many Americans don’t have much in savings anyways, do with that info what you will. The first piece of the most BASIC personal finance advice you will ever receive is to create an “emergency fund” of cash savings. For the second time in the space of ten years, the powerful Bilderberg group is plotting to trigger a financial collapse, with elitists already positioning themselves to profit from the next economic meltdown. As we reported back in 2006 during the Bilderberg Group’s meeting in Ottawa, Canada, leaked information from an American delegate revealed that insiders were preparing for the housing bubble to burst and a global market crash. Over the course of the next two years, that exact scenario played out, culminating in the collapse of Lehman Brothers and a worldwide recession. As the global financial picture begins to look increasingly bleak, with worries about a Chinese stock market collapse triggering a wider panic, Bilderberg is once again scheming to benefit from the fallout, while the “precariat,” those who are living paycheck to paycheck, are set to suffer the most. Mainstream news outlets are already starting to use the phrase “economic collapse” to describe what is going on in some areas of our world right now. For many Americans this may seem a bit strange, but the truth is that the worldwide economic slowdown that began during the second half of last year is starting to get a lot worse. In this article, we are going to examine evidence of this from South America, Europe, Asia and North America. Once we are done, it should be obvious that there is absolutely no reason to be optimistic about the direction of the global economy right now. The warnings of so many prominent experts are now becoming a reality, and what we have witnessed so far are just the early chapters of a crushing economic crisis that will affect every man, woman and child in the entire world. The collapse and bankruptcy of Lehman Brothers in 2008, at the time the fourth-largest U.S. investment bank, was the seminal event of the subprime financial crisis. Its implosion resulted in the loss of more than $10 trillion in market capitalization from global equity markets. Selloffs are occurring in Spain, Italy, Greece and Germany. Economic troubles are intensified by an uncertain geopolitical situation in the Middle East and tensions between the United States, Russia and China. Instead of focusing on a looming economic catastrophe, the G7 leaders warned against a Brexit. UK voters will decide on leaving the union during a referendum scheduled for June 23. Why is George Soros selling stocks, buying gold and making “a series of big, bearish investments”? An extended period of economic decline around the world. The International Monetary Fund (IMF) uses a broad set of criteria to identify global recessions, including a decrease in per-capita gross domestic product worldwide. According to the IMF’s definition, this drop in global output must coincide with a weakening of other macroeconomic indicators, such as trade, capital flows and employment. Recessions caused by deflation see massive collapses in asset prices. There has been a well over 50% plunge in the prices of industrial commodities such as copper and oil. The end of the world as we know it is coming, or at the very least a long period of lawlessness, total anarchy and every-man-for-himself savagery. You are aware of this and want to prepare. One of the things you need to cover (aside from an ample supply of firearms) is food. What food do you stockpile? Soft drinks (learn the 8 kinds of drinks to hoard in crisis). potato chips annually according to National Geographic). Garbage bags (used to loot the wares). What Will You Use for Money When the SHTF After the Collapse? It is critically important for preppers to engage with barter and to network with the the growing underground economy. This is how you will survive the dollar crisis and the on-going economic collapse for years to come. Here is what you need to be accumulating this NOW. search and seizure for concerned citizens of the United States of America. Have the constitution on hand to defend your rights. It is true that the updated order gives the government authority to redistribute food. However, this doesn’t mean that the government can take your food storage. 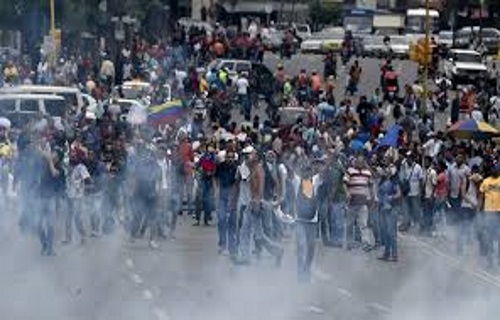 The order is made to make preparations before an emergency and gives the government power to redistribute food during a crisis. Food resources is defined in the order as “all commodities and products, (simple, mixed, or compound), or complements to such commodities or products, that are capable of being ingested by either human beings or animals, irrespective of other uses to which such commodities or products may be put, at all stages of processing from the raw commodity to the products thereof in vendible form for human or animal consumption. The best you can do is work with it, to take the appropriate actions to minimize your risk. Holding an appropriate amount of cash outside of the banking system is always a prudent thing to do. Sophia the ROBOT, from Hanson Corp, Hong Kong, is now autonomous, SELF-AWARE, independent…. and has now been given CITIZENSHIP!